Description: In the 19th century, Galveston shores were a gateway for immigrants to Texas and destinations beyond. Slaves, the forced immigrants, were brought to Galveston as property for sale. The largest slave trade operation in Galveston was implemented by Jean Laffite, a pirate. His slave trade business began around 1818. However, for the most part, slaves entering the port of Galveston were destined for other Texas cities and other states. Images of America: African Americans of Galveston presents the community life and accomplishments of Galveston slaves, the descendants of slaves, and descendants of those who migrated to Galveston after the Civil War. 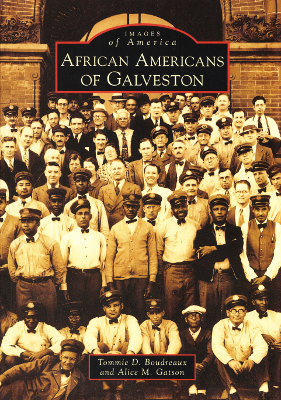 The book celebrates Galveston's African American culture from the 1840s to the 1960s. 128 pages. Viewed: 1,698 times since October 4, 2013.